There are plenty of reasons to oppose Trump's nomination of Brett Kavanaugh for the U.S. Supreme Court, including the danger he poses to the environment and civil rights. And his track record shows he'll be terrible for wildlife. The Center for Biological Diversity's Bill Snape analyzed Kavanaugh's 12 years on the U.S. District Court of Appeals in Washington, D.C., and found he ruled against wildlife and endangered species 96 percent of the time. Often, Snape discovered, Kavanaugh took strident positions against species protection. He typically favored corporate interests over established science. There's no reason to expect him to act any differently if he makes it onto the Supreme Court. Read more in HuffPost, and urge your senator to vote no on Kavanaugh. 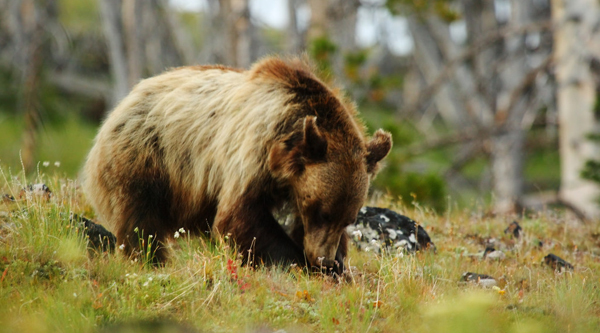 In response to an emergency motion by the Center and allies, a federal judge last week temporarily halted plans for Yellowstone grizzlies to be hunted in Wyoming and Idaho. It's a crucial win for these beloved bears — and for our members, who raised their voice against the cruel trophy hunts that were scheduled to start last Saturday. The judge's order is temporary, keeping the grizzlies safe while our case against the Trump administration for stripping protection from these world-famous bears plays out. Your support is critical. Will you give today to the Predator Defense Fund to help us save Yellowstone's grizzlies from being shot? Rep. Jared Huffman (D-Calif.) has joined forces with anti-public lands zealot Rep. Rob Bishop (R-Utah) to fast-track a bill to evict native tule elk and order the National Park Service to enshrine private cattle ranching in California's Point Reyes National Seashore. This is an unacceptable attack on one of our country's natural treasures and would devastate these rare elk, once thought to be extinct. H.R. 6687 would torpedo a public planning process already under way. In 2017 ranchers, conservationists and the Park Service agreed on a plan to address controversial cattle ranching and tule-elk issues at Point Reyes through a transparent environmental review. But now Huffman and Bishop are trying to sidestep that public process. Tell Rep. Huffman that you oppose H.R. 6687 and don't want tule elk removed from our national park. Sad news from the Northwest: The breeding male of Washington state's Togo wolf pack was shot and killed over the weekend by a state agent. The Center had rushed to court to save this wolf, but tragically Washington insisted on executing him — even though science shows that killing wolves like this doesn't reduce cattle losses. 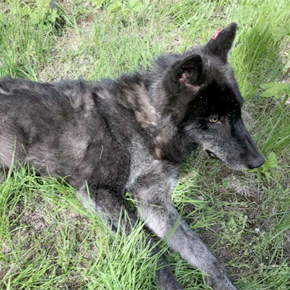 Thanks to everyone who tried to help save this wolf, who leaves behind a mate and two pups. His spirit lives on as we continue the fight to protect Washington's wolves. The Trump administration may be angling for more oil and gas drilling off the California coast — but the state is pushing back. Its legislature has just passed two key bills that effectively ban new pipelines, platforms and other equipment along the coast that would support expanded offshore oil development. The bills await Gov. Jerry Brown's signature. Meanwhile cities and counties across California, representing more than half of the state's population, have publicly opposed new offshore drilling in the Pacific. 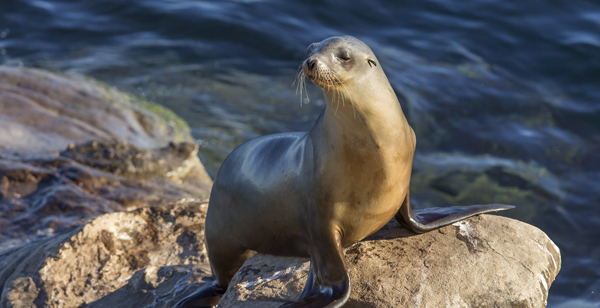 "This is a big victory against Trump's plan to endanger our oceans and coastal communities with more drill rigs and oil spills," said the Center's Blake Kopcho. "California has joined a rapidly growing number of states that have put up a 'Not for Sale' sign on their coasts." Who would poach a Venus flytrap? A lot of people, apparently. 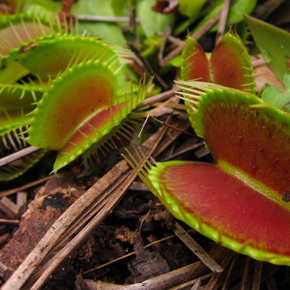 These carnivorous plants are rare, growing in just a few small areas in North and South Carolina. They're protected under state law and are being considered for federal Endangered Species Act protection. But too often they're poached. Sometimes thousands of plants are stolen from the wild at a time and sold to dealers for as little as 25 cents each. The Revelator has a new essay about how to finally address this problem. The Center has launched a lawsuit against Trump's EPA for refusing to recognize that ocean acidification caused by carbon dioxide pollution is harming Oregon's marine life. Among other disastrous effects, ocean acidification prevents shellfish from forming healthy shells. Oregon's oyster farms first began experiencing mass mortalities from acidification in 2005. And corrosive waters in the Pacific Northwest are outstripping scientific projections at a truly alarming rate. But the EPA has refused to identify Oregon's waters as impaired by acidification — which means the region can't benefit from pollution controls and other mitigation measures that come with this designation. 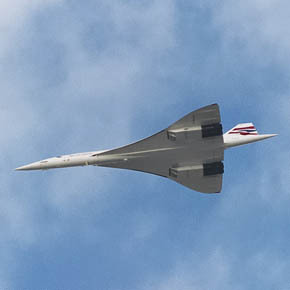 The Center and 37 other nonprofits have just written a letter calling on the Senate to reject a bill provision that would lift the ban on luxury supersonic planes flying over U.S. soil. As our letter notes, these planes are projected to burn five to seven times more fuel per passenger than typical airliners. "Resurrecting these flying gas-guzzlers would cause the aviation industry's already massive climate damage to skyrocket," said the Center's Bill Snape. Read more in the Wisconsin Gazette. Can you guess what a monarch butterfly caterpillar eats right after hatching? We bet you can't. Check out this footage of a caterpillar's first meal on Facebook or YouTube. 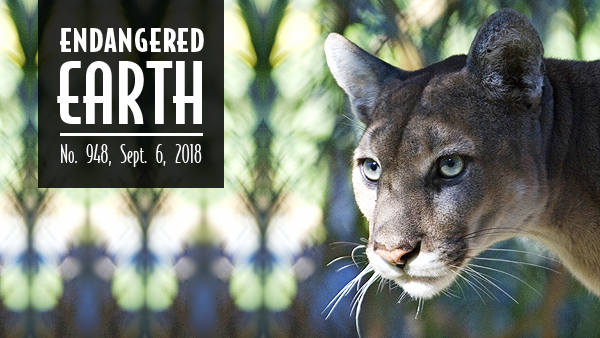 Photo credits: Florida panther by Rodney Cammauf/NPS; Yellowstone grizzly bear by twelvex/Flickr; tule elk at Point Reyes National Seashore by phoca2004/Flickr; Togo pack wolf courtesy WDFW; sea lion in La Jolla, Calif.; Venus flytraps by Miguel Vieira; Oregon oyster farm by orkingtide/Flickr; Concorde supersonic plane by velodenz/Flickr; monarch caterpillar by Anna Weyers/USFWS.